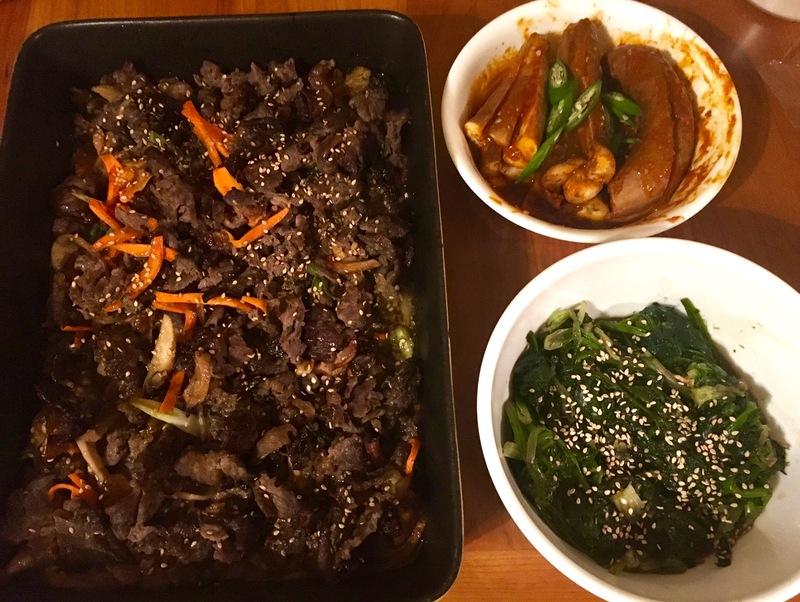 I was inspired to develop this recipe by watching a Korean TV show about a family who escaped from North Korea about 12 years ago. To defect to South Korea, they first had to cross the border to China, and during the crossing they got caught by the Chinese police. The Chinese police gave them a choice: either the whole family goes back to North Korea, or the daughter can go back by herself and the rest of the family can continue to China. Either option was terrible, but they decided that the daughter would go back to North Korea and the rest of family would go to South Korea via China. Probably the mother told her daughter she would bring her as soon as they settled down in South Korea. But it could never happened. They came to South Korea and tried hard to find their daughter but they couldn’t get any information at all. She and her husband are currently living near the North Korean border, missing their daughter everyday. I may post the other dish steamed stuffed peppers someday too. The TV show was very touching and sad, and I couldn’t help crying, but I was also so curious about the dishes. I really wanted to taste her spicy stuffed eggplant! I could see her making it, but there was no recipe given, so I tried recreating it. In my first experiments I added some meat or seafood to make it more tasty, but eventually I went back to the meat-free version like the mother on the TV show. She didn’t explain how to make her red seasoning paste, so I had to do some experiments and come up with my own. So my recipe may taste a little different from her original recipe, but I can say that it’s delicious enough to share with my readers. I hope her family reunites someday. As a mother myself, I can’t imagine how tortured she must be. Enjoy this recipe, and be thankful of the people you have around you who love you. We need to cherish them everyday. 1 pound Asian eggplant (about 3 long and thin eggplants), washed. They should be small enough to fit into the bowl you are steaming in. If not, cut them into smaller pieces. Asian eggplant works best for this because they are thinner and smaller than the eggplants I find in the USA and Canada, and they have a thinner skin, too. But you can use those bigger eggplants. Just cut them into smaller, thinner pieces. You may need to steam them longer, just keep checking as you steam. Heat a pan over medium high heat. Add vegetable oil, garlic, onion, and stir fry for 1 minute. Add green onion and stir fry for 4 to 5 more minutes, until the garlic turns light brown and fragrant. Remove from the heat and cool for a few minutes. Add hot pepper flakes, soy sauce, hot pepper paste, sugar, ground black pepper, sesame oil, and salt. Mix it well with a spoon. Fill your steamer pot with about 1 inch of water and insert the steaming basket. Cover and bring to a boil. Cut off the stems of the eggplants and discard. Slit the eggplants a few times lengthwise, starting about 1 inch from the stem end and keeping the ends intact so the slit pieces are still joined together. The slits should be ½ inch apart. Stuff the eggplants with the seasoning paste by hand (or a spoon) evenly. Use all the seasoning paste and put them into a heat proof bowl. When the water in the steamer is boiling, your steamer is ready. Put the eggplant bowl into the steaming basket. Cover and steam for 12 to 15 minutes over medium high heat until the eggplant is nicely cooked, but not mushy. You can check by poking with a wooden skewer or a chopstick: it should go through with some firmness. If it can’t go through easily, you need to steam it longer. If it goes through like butter, you steamed too long. 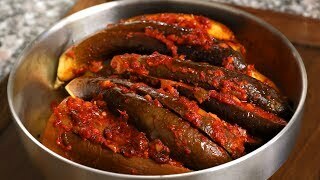 Remove the steamer from the heat and take out the bowl of eggplant. Serve right away with rice and other side dishes. The North Korean way of eating it is to take a bite of rice, then tear off a strip of eggplant with your fingers. Put your head back and drop the strip in your mouth! Posted on Tuesday, September 5th, 2017 at 9:50 pm. Posted December 28th, 2017 at 9:04 pm | Log in to reply. Posted October 13th, 2017 at 12:59 am | Log in to reply. I cook for my friends and they all loved it! They said it was spicier than it looked. Posted September 20th, 2017 at 7:55 pm | Log in to reply. 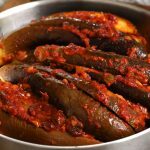 I made this lovely eggplant dish tonight and it is FABULOUS! I’so glad my husband found you on YouTube. I also made the mushroom beef stew tonight as well. YUMMM! You are teaching a Southern ‘Belle to cook Korean delicacies. Thank you so much. I ordered your cookbook from Amazon last night as well. Posted September 22nd, 2017 at 9:27 am | Log in to reply. I’m glad you enjoy my recipes. Good luck! Posted September 20th, 2017 at 7:19 pm | Log in to reply. Hello Maangchi!! Your are soo adorable! I love watching you cook. My mom and I love to cook and we both love purple Asian eggplants. I can’t wait to make this dish and share with her when she returns from her California trip later this month. Farmer’s market is where I get them too right now but later will have to shop at the local Asian market in town. You make eating so delicious. Can’t wait to try it out!! Posted September 18th, 2017 at 7:34 am | Log in to reply. Posted September 9th, 2017 at 8:02 pm | Log in to reply. Another wonderful dish from a wonderful chef. If only more leaders were as kind, thoughtful and loving as Maangchi. We would have less pain and more peace in the world. Thank you , Maangchi, for a wonderful recipe and a wonderful story behind the recipe. Posted September 9th, 2017 at 1:38 am | Log in to reply. Thank you for sharing the story with us. It is very sad to know the long and terrible history of families being separated for so long. I hope this couple one day can see their daughter again. I’ve told you before that I was born in the Chongchongnam-do province in 1968 and was adopted along with my sister. I don’t know if my Korean mother is still alive but I sometimes wonder if she had family in North Korea. War does terrible things to everyone. Thank you for honoring this family. Posted September 8th, 2017 at 11:35 pm | Log in to reply. My family’s dinner this evening! Thanks Onni Emily for your awesome recipes. Posted September 14th, 2017 at 8:53 am | Log in to reply. Wow, lots of sesame seeds sprinkled on every dish show me your passion to make everything delicious! All look great! Congratulations! Posted September 8th, 2017 at 3:39 am | Log in to reply. last few days I have been watching your cooking on youtube. already I have tried and it was nice. today I hv registered. interesting thing has happend u know!!!!! yesterday suddenly I found my 13 years old son was giggling by saying wowwww…. guess what? it was you!!!! he has started to watched ur cooking and said : Maa, Maangchi aunt is a nice person, funny and spleding chef. God bless u sis. hope to get more recipe and vedio. Posted September 14th, 2017 at 8:51 am | Log in to reply. Posted September 7th, 2017 at 2:36 am | Log in to reply. Posted September 14th, 2017 at 8:45 am | Log in to reply. I remember you as my long time reader. I never met you but I’d like to meet you some day. Thanks for your support and kind words. Posted September 6th, 2017 at 11:23 am | Log in to reply. Hi Maangchi.. thank you for the story you have shared.. it is a very sad story, and I do hope one day South and North Korea will be reunited, especially the separated families..
Posted September 14th, 2017 at 8:39 am | Log in to reply. I heard from many people since I posted this video, that this is similar to the Indonesian version. I hope to try it someday, it sounds delicious! Posted September 6th, 2017 at 1:01 am | Log in to reply. Thank you for your story on North and South Korea, I would love to visit one day, when things politically have settled down. Hopefully soon. Posted September 6th, 2017 at 12:14 am | Log in to reply. Posted September 14th, 2017 at 8:37 am | Log in to reply. Thank you for your effort to register and leave such a nice comment. Cheers! 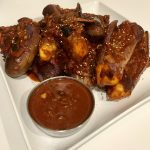 This recipe was originally posted on September 5, 2017 at 9:50 pm by Maangchi. The video was watched 858,837 times on YouTube & has 20,976 likes!